 San Diego State University (SDSU) and the University of California San Diego (UCSD) offer a joint doctoral program (AuD) in Audiology. The AuD Joint Doctoral Program includes faculty from the School of Speech, Language, and Hearing Sciences in the College of Health and Human Services at SDSU, and from the Division of Surgery (Otolaryngology) in the School of Medicine at UCSD. The joint doctoral program in audiology is accredited by the Council on Academic Accreditation in Audiology and Speech-Language Pathology (CAA). The AuD program is a four-year graduate degree program designed for individuals who intend to specialize in clinical practice and to meet current professional standards requiring a clinical doctorate as the entry-level degree for a certified/licensed audiologist. It is expected that students will come into this program from a variety of different science backgrounds, including speech, language, and hearing sciences, biological and physical sciences, engineering, psychology, nursing, or a pre-med curriculum. For more details, see the AuD Student Handbook (pdf). The Joint Doctoral (AuD) education program in audiology at San Diego State University and University of California-San Diego is accredited by the Council on Academic Accreditation in Audiology and Speech-Language Pathology of the American Speech-Language-Hearing Association, 2200 Research Boulevard, #310, Rockville, MD 20850, 800-498-2071, 301-296-5700. The professional programs of the School are designed to prepare individuals to serve the communication needs of children and adults from diverse cultural and linguistic backgrounds; to meet state credential and licensure requirements in each of the areas of specialization; to meet the highest professional standards and criteria set by accrediting bodies; and to prepare graduates to serve in a variety of interdisciplinary setting as clinicians, consultants, educators, resource and program specialist, researchers, and speech and hearing scientists. The mission of the SDSU/UCSD AuD Joint Doctoral Program is to prepare graduates who will possess the knowledge and skills necessary to practice as doctoral-level audiologists; who will be thoroughly prepared to enter the work force and to meet the current and future needs of our culturally and linguistically diverse communities; who are knowledgeable of scientific inquiry; and who are capable of undertaking the future challenges of the profession. The Strategic Plan for the School of Speech, Language and Hearing Sciences serves as the Strategic Plan for all academic programs within the school. Please see the Executive Summary for the SLHS Strategic Plan. To prepare graduates who are knowledgeable in applied and theoretical issues in assessment, intervention, clinical decision-making, and ethical/legal aspects of practice. To provide opportunities for inter-professional education and collaboration. To prepare graduates who are able to critically evaluate research literature, apply evidence based practice, and contribute to research in the discipline. To give students knowledge and opportunities to engage in precepting, and to promote a life-long professional commitment to clinical teaching. The target enrollment for the AuD program is 10 students per year. Students must be enrolled full-time (12-15 units/semester) for four years (including some summer enrollment). Students will complete about 134 semester units, over 11-12 academic terms. The pbegins in Fall term, and graduation occurs spring or summer of 4th year depending on when the externship ends. Students participate in the graduation ceremony in May. The academic and clinical components of the AuD program are based on proficiency (understanding and use) of English, in oral and written forms. Students enrolling in the Joint SDSU/UCSD Doctor of Audiology Program must satisfy the English proficiency requirements of both universities. Transcripts indicating that the student has studied full-time for one uninterrupted academic year at a university-level institution where English is the language of instruction and in a country where English is the dominant language. Scores must be taken within the past two years. The program is comprised of the following six components (see the AuD Student Handbook (pdf) for details). (required didactic courses: Years 1 and 3 at SDSU, Year 2 at UCSD).